Dr. Lilliana Corredor of Scientists for the Mekong wrote a report to better inform negotiators at the COP21 climate talks taking place in Paris about the many environmental and social impacts of a series of hydroelectric dams proposed for the Mekong River basin. A series of 11 hydropower dams are planned for the main stream of the Mekong River, while hundreds more could be built on the Mekong’s main tributaries. Hydropower is known to be responsible for at least 20 percent of all methane emissions from human activity, but recent studies have led scientists to believe that number could actually be much higher. Hydropower dams are being promoted as sustainable development around the world, especially in tropical river basins, despite numerous warnings from scientists that the dams come with grave impacts for ecosystems, biodiversity, the rights of local communities and the global climate. Plans to build 43 large dams in the Brazilian Amazon’s Tapajós River Basin, for instance, have been the subject of much study that has shown the enormous harm to rainforest ecosystems and indigenous peoples those projects will cause. Researchers have also found that the dams emit far more greenhouse gases into our atmosphere than official reports acknowledge. Now, Dr. Lilliana Corredor, an expert in water ecosystems with a PhD on freshwater organisms from Australia’s La Trobe University and the founder of Scientists for the Mekong, wrote a report to better inform negotiators at the COP21 climate talks taking place in Paris about the many environmental and social impacts of a series of hydroelectric dams proposed for the Mekong River basin. Eleven hydropower dams are planned for the main stream of the Mekong River, while hundreds more could be built on the Mekong’s main tributaries. Xayaburi Dam in northern Laos is 60% complete. Photo via The Stimson Centre-Feb 2015. Laos has already started construction of the Xayaburi Dam and the Don Sahong Dam on the Mekong despite strong opposition from neighboring countries, according to Scientists for the Mekong. Laos is planning on building as many as 70 dams, including at least seven more on the Mekong River itself. 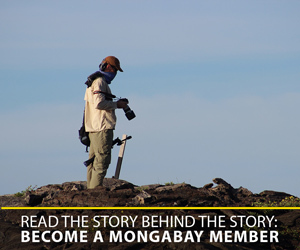 The Don Sahong Dam is meeting with fierce local opposition as well. A statement issued on behalf of thousands of people living in the Mekong region says the dam is located at a critical area for fish migration between the upper and lower Mekong, and will reduce fish populations across the Mekong River Basin. The statement also says that locals are suffering from the impacts of dams that have already been built, including the Xayaburi Dam, which isn’t even completed yet but is more than halfway to completion. Meanwhile, Cambodia is planning two large dams of its own on the main stream of the Mekong, and many more dams are being built or planned for major tributaries of the Mekong in Cambodia, Thailand and Vietnam. The impacts of all of this supposedly “sustainable” development could be catastrophic, Corredor writes in her report. Vital fish migration routes will be blocked and biodiversity is expected to take a hit, as well. Corredor found that fisheries in Cambodia and Vietnam are expected to lose 560,000 tons of fish per year. 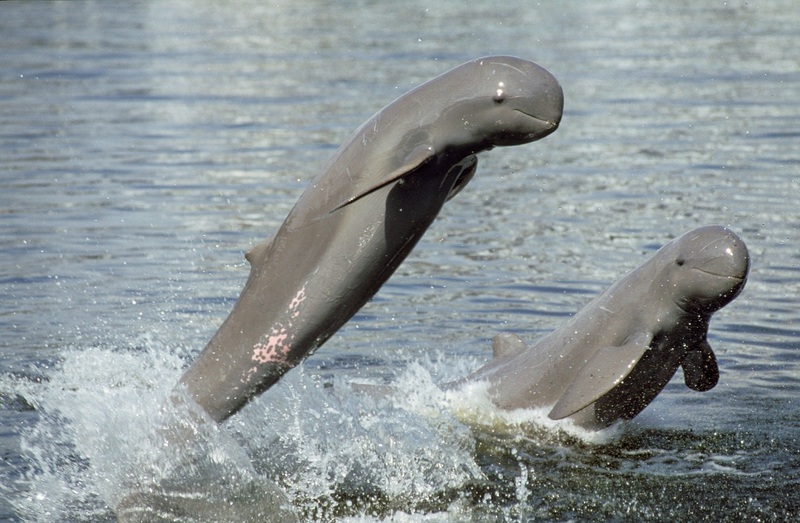 The dams also risk the extinction of key species like the Irrawaddy dolphin, of which there are estimated to be less than 100 left in the Mekong (the species is listed as “Vulnerable” on the IUCN Red List of Threatened Species, not endangered, because other populations outside the Mekong are not in as imminent an extinction threat). The rare Giant Catfish and hundreds of other aquatic species are also threatened by the dams, according to Corredor. Irrawaddy dolphins (Orcaella brevirostris). Photo via fondationsegre.com. Food production on land will also be impacted, as nutrient-rich soils that are vital to agriculture and the Mekong ecosystem will be blocked by the dams. “This will affect the productivity of riverine areas all the way down from the dam sites to the Mekong Delta,” Corredor writes in the report. “Food cultivation along the Mekong River and fisheries will both suffer by lack of nutrient rich sediments.” She says economic losses for Vietnam alone could be well over $1 billion per year due to lower rice, fruit and vegetable exports. Overall, the dams put food security for 60 million people in Southeast Asia at risk, Corredor adds. She also notes that, to date, nearly 100 million people have been displaced for the construction of dams in China and India as a portent of the mass-displacement of people living in the Mekong Basin that will follow dam construction. But the impacts of hydropower dams are not limited to local ecosystems and communities, as they are also responsible for massive amounts of emissions that contribute to global warming. 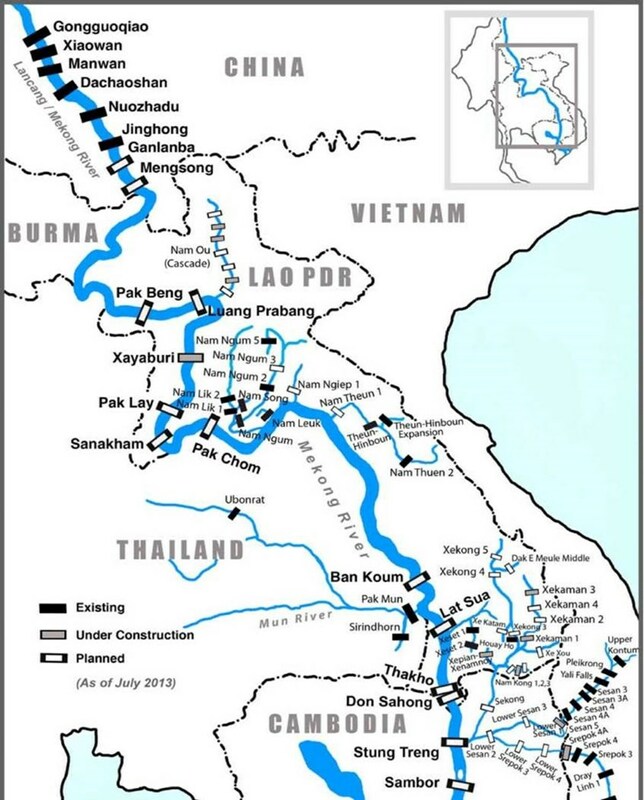 Existing and planned dams on the Mekong River. Map via SavetheMekong.org-Nov 2015. While it is a less-carbon intensive form of energy than fossil fuels, hydropower is known to be responsible for at least 20 percent of all methane emissions from human activity, and recent studies have led scientists to believe that that number could actually be much higher. Methane is estimated to be 35-times as potent a greenhouse gas as carbon dioxide. And yet, hydropower is being promoted at COP21 as a clean, green source of energy. It would also encourage Laos to build another 70 dams, and other nations to build thousands of others, Corredor said in the report.